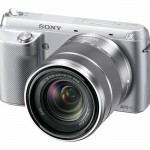 Aside from the full HD video, the NEX-F3 doesn’t look like a huge performance upgrade over the C3. 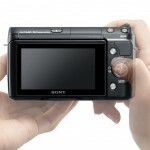 In the video below, the Sony guys play up the improved image processing. But increasing the sensitivity from ISO 12,800 to ISO 16,000 is only a 1/3-stop improvement. To be fair, we’ll have to see the actual image quality for a real evaluation. That said, the tweaks Sony made to the F3 make it a pretty compelling package compared to the C3, even if the image quality will likely be about the same. The new grip and repositioned shutter release button look very good and as an unrepentant self-portrait photographer, I really like the 180-degree tilting LCD display. The pop-up flash is also a nice improvement. One of the regular complaints I hear about the Sony Alpha NEX mirrorless cameras (NEX-7 excluded) is they don’t have a built-in flash. The Auto Portrait Framing and Superior Auto Mode will also be useful for less-experienced photographers. 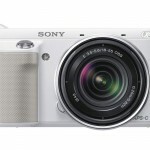 Compact system / mirrorless cameras like the new Sony NEX-F3 are a great option for photographers who want the performance of a digital SLR in a smaller, less expensive, more user-friendly package. 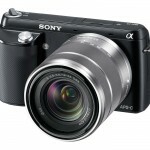 They’re also good for serious photographers who need a high-performance, travel-friendly DSLR alternative. 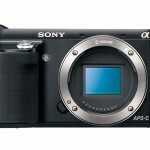 The NEX-F3 press release quotes Sony’s Alpha camera business director, Mike Kahn, on their NEX mirrorless camera line: “Sony continues to redefine digital photography with our E-mount series, packing a large APS-C size sensor into a small, lightweight camera body to produce professional-quality images with ease.” These cameras are good enough now that I’ve transitioned to using a mirrorless camera for the majority of my photography. 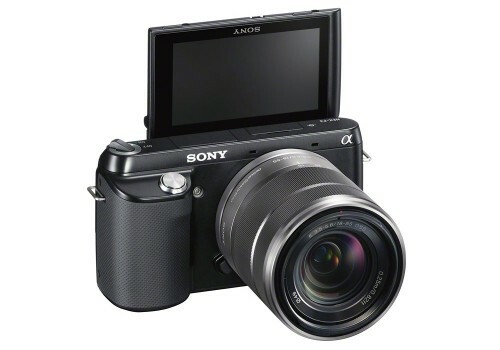 If you’re new to the Sony Alpha NEX camera line or mirrorless cameras in general, read my Sony NEX-5N review and check out our Compact System Cameras forum to learn what they’re all about. 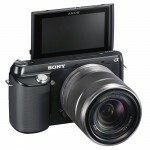 The new 16-megapixel, full HD video Sony Alpha NEX-F3 will be available next month (June, 2012). 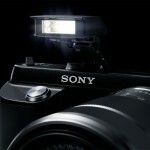 Sony says it will cost “about $600” with an 18-55mm zoom lens. 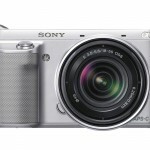 An alternative, and recommended lens option, is Sony’s redesigned, smaller and lighter 18-200mm E-mount zoom lens, announced with the NEX-F3. I love the 18-200mm zoom range on APS-C cameras like the F3, and although the $850 price tag will seem steep to beginners, it’s actually a great value considering the versatility and Optical SteadyShot image stabilization. For the price, I also expect it to have better optical quality than the 18-55mm kit lens and the Sony E-mount 55-210mm telephoto zoom.